The development and improvement of robotic system integrate the science and technology of robotic system design, engineering analysis, prototyping, and experiment. 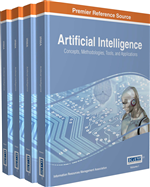 This chapter introduces the current research and development of robotic systems applied in medical treatment, surgical operation, automated manufacturing, and high-speed production. Two recent robotic researches are included in this chapter to show the technical methodologies of computer-aided 3D modeling, computational simulation, engineering analysis, prototyping, and experiment in design and development of robotic systems. The robotic systems mechanically consist of kinematic functioning parts including chains and actuators that similarly operate as human muscles converting its potential energy to body motion (Abbas, 2012, p.496, Dylan, 2005, p.797 & Schreuder, 2010, p.253). The robotic mechanical system can be manipulated to execute different moving functionalities (Ahmed, 2013, p.1131). The new researches of robots focus on handling various complex levels of adaptability, intelligence, intractability, efficiency, functionality, mobility, and flexibility to deal with many different complicated and non-friendly environments, and potentially offer various kinds of services to human users and society (Habib, 2006, p.449). The programmable logic control (PLC) applied in different engineering fields bring renovation to the manufacturing techniques and production technologies that allow more complicated, adaptable, well-set, and economic-efficient production and industrial process controls (Feil-Seifer, 2007, p.425 & Kim, 2007, p.13 & Yang, 2008, p.79). By using control system, robotic system can decrease human labor involvement in production and industrial processes. The fast growing and rapid explorations in computing capability and technological renovations have brought new era for mechatronics which is a technical cross-linked interdisciplinary and intelligent paradigm that moderates, supports, interacts, and promotes modern researches, engineering technologies, control systems, and scientific practices (Habib, 2007, p.12). The robotic system plays critical role in modern industry and provides exceptional support for cost-effective business function (Kwartowitz, 2006, p.157 & Pott, 2005, p.101). Computer-aided modeling and product design can quickly simulate the robotic systems and accelerate the product development cycle (Kumar, 2011, p.994 & Menzel, 2000, p.180 & Tsagarakis, 2003, p.21). Computer aided manufacturing can flexibly amend and improve the engineering integration of robotic system design, development, prototyping, engineering analysis, and manufacturing process (Schiff, 2005, p.122 & Tapus, 2007, p.15 & Tholey, 2003, p.158). The globalized challenging economy needs cost-effective manufacturing production processes via automation control, flexible robotic system, better production tools, and efficient business process (Ahmed, 2009, p.431 & Siebert, 2004, p.127). This chapter focuses on the introduction and case study of robotic systems applied in surgical and automated production processes. Two current new researches of robotic system development are introduced and analyzed via modeling analysis, computer aided design, computational simulation, prototype experiment, and engineering validation.